Contractor specializing in all types of jobs - from small projects to larger projects such as kitchen and bathroom remodels. Details are extremely important to us and we always strive to make the customer happy with the end result! Exceptional support and service. First Choice specializes in home furniture and gym equipment assembly, and TV wall mountings. Do you have an IKEA closet that is just sitting in the basement waiting to be assembled? Is that TV wall mount starring at you when you come back home from work? We can help you with that... Our mission is to improve the customers' lives, one project at a time. For all of the services we offer, our top priority is you, our customer. Have peace of mind that all of our pros are: Vetted- We only recruit technicians who have a strong track record of service quality. We screen through a combination of media searches, on/offline interviews, and reference checks. Background- We conduct comprehensive business background checks and require each technician you work with to pass a 6-point criminal background check. Licensed and insured- First Choice Home Services maintains any necessary insurance and trade licenses for our customer utmost safety. Proven Performers- Providers must meet ongoing performance targets including responsiveness, quality, and ratings.s productive and customers happy. Our knowledgeable technicians come to you when it's convenient, and assemble your products with no fuss. Pickering Safe and Lock offers residential, commercial, automotive, motorcycle and emergency locksmith services for the community of Pickering and the surrounding area. We have built an excellent team of emergency Pickering locksmiths and support staff that are ready to serve you. Pickering Safe and Lock has been steadily growing over the years. We at Pickering Safe and Lock credit our growth to how we conduct our business. Each service call is treated with the same level of attention and professionalism regardless of the amount of work involved. Our emergency Pickering locksmiths and support staff are expected to be respectful to our clients and to treat their property as if it was their own. Keep it Moving There is no better locksmith company to call for automotive security needs than Local Pickering Safe and Lock. We can quickly extract a broken ignition key and easily make a replacement key. There is not a vehicle on the road today for which we cannot cut and program a key. Contact us if you have any questions regarding our automotive locksmith services. Take it Home Pickering Safe and Lock can handle any type of lock or security need in your home. If you have recently moved and need your locks rekeyed, call us. If you have a lock but have lost its key, contact our company. If you have a garage or door locks that need to be repaired or replaced, call Pickering Safe and Lock. Business for Business As business owners ourselves, we at Pickering Safe and Lock understand the need to protect your company’s assets. That is why we developed our commercial locksmith service to become the comprehensive locksmith service it is today. We can handle any sort of lock or security concern you may have about your business. Access control, surveillance and CCTV systems are just some of the many locksmith services we offer our commercial clients. It’s an Emergency Being locked out of your home, vehicle or business is a very stressful, and sometimes dangerous, situation. If you ever find yourself in such a predicament and live in Pickering and the surrounding area, call Pickering Safe and Lock. We are experts at automotive lockout solutions and can open any locked door or trunk. We can get into any residential or commercial location without damaging property. 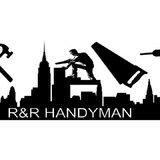 R&R Handyman is a family owned and operated company serving New York and surrounding areas. We do both large and small jobs including drywall , custom wood work , hanging mirrors of all sizes ,mounting Tv and lots more. Our employees are true craftsmen and take pride in a job well done. We serve our customers with respect and prices are always fare. A Berger Construction has been in business since 2013, with over 15 years of experience! We specialize in all your home improvement multiple small project needs, and guarantee you a job well done! Whether it be a ceiling fan that needs to be installed, or a door that needs repaired, we are your guys! We strive to exceed the homeowner's expectations each and every time, and get the job done the way you want it. We work in a timely fashion and always pay attention to detail. We provide free estimates. Call today! When you need reliable maintenance services, Little Things Handyman LLC in Danbury, CT is the company to call. We offer trustworthy cleaning services to help you keep a spotless home and an orderly office space. You can count on us when you need consistently high-quality corporate and residential cleaning and maintenance. 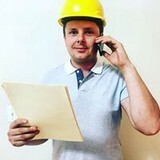 Project Fixed was started by Artur after 10 years in the field when he realized the need for dependable, local handymen in the New York City area. He has a passion for working with clients to create a finished product that they love. We only work with the best materials available and provide a 1 year guarantee on all labor. We never compromise quality for time and give our clients realistic schedules that accommodate their busy lives. If what you are looking for is not listed do not hesitate to ask. We can do much more than this. Contact us with your questions. Here at Handyman Specialists, Inc., we pride our company on reliability, great communication, integrity, and quality work. We strongly believe in giving our absolute best in all of our projects no matter how big or small. 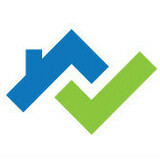 We are experts in our trade and will always keep you educated on your particular task or project. We look forward to earning your business! Handyman Specialists Inc. is the reliable, modern, safe and convenient way for you to get things done around the house; things that you don’t want to do, or more likely don’t have the time to do. You’re busy with work, friends and/or the kids! The last thing you want to do with your free time when you could be relaxing, or watching the game with friends is putting together IKEA furniture, painting a wall, or figuring out how to install a tile backsplash. Our men and women -yes we have female handypeople- are insured, bonded, and have passed background checks, so unlike other (“guy with a van”, cash only, who knows if they are insured) operations, you have nothing to worry about! You have more important things to do with your valuable free time, and that’s what we are here for. Let us complete your home “to-do” list- you’re worth it! Better Living Service has been helping homeowners and companies with home repair and light remodeling projects for over 20 years across the U.S. Our friendly, insured and bonded craftsmen are scheduled to turn up on time, and are committed to complete customer satisfaction. Each of our General contractors are experienced in maintenance, product installations and a variety of business and home improvements. You’ll have peace of mind knowing that every job we perform comes with a one-year guarantee. So next time you’re considering hiring a service professional for your home project, why not give us a call?